Looking for a delicious bite to add to your picnic basket? Look no further than these Vietnamese Picnic Rolls. Living so close to the beach a picnic near the waves is easy to organize. The first thing I pack is my king sized towel which ensures that sand does not get onto the food and we have plenty of space to lay everything out. Essential to being in the sun are caps and sunblock, as well as bottles of ice cold water. As the picnic is meant to be some time out to relax I also pack our books and wet wipes to keep our hands clean. As far as food goes, sliced fruit is essential as well as anything to eat using fingers. I don’t like to take plates and cutlery with us, as that means more to carry to and from home. I like to include fresh vegetables and some form of sandwich. This month for the daring bakers’ we were tasked to make Siopao, which are Asian filled buns. I immediately thought of what I would like to take on a picnic, and rolls filled with mince sounded like they would be perfect. I wanted something that would not have too much filling in them so that it would not fall out as soon as you bit into them. But as you can see from the photograph, there could have been more mince in the rolls. I chose Vietnamese flavours as I thought something different would be great to try. 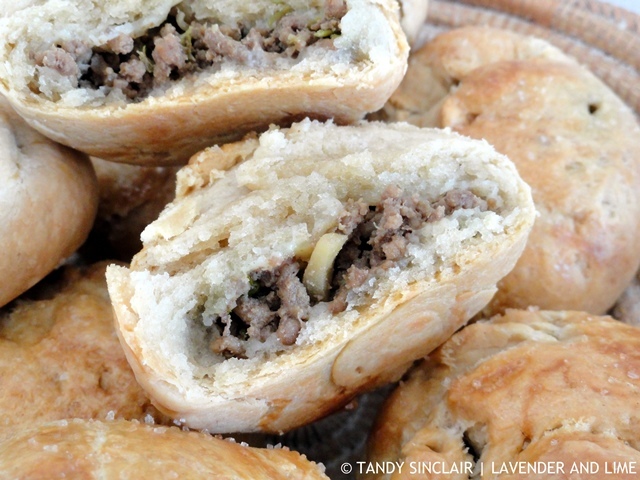 You could do these with minced pork as well, with great results. The recipe made a perfect dozen, with a little bit of leftover mince. These Vietnamese rolls are crunchy with an extremely flavoursome filling and are perfect for any picnic meal. Blog-checking lines: The February Daring Bakers’ challenge is hosted by Julie of One-Wall Kitchen. 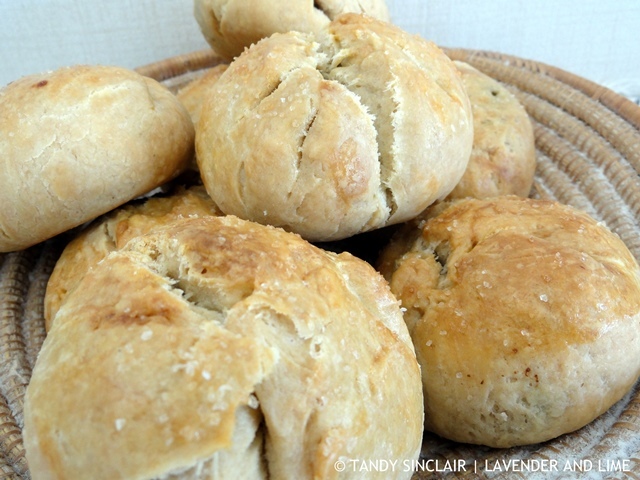 She challenged us to an easy, simple filled bun using no-knead dough. Tandy, you are a star! How lovely! A picnic!! These look amazing! 🙂 Great recipe! Hi Tandy, I pinned and printed this recipe, looks amazing!! We love individual foods like this for outdoor and family events and we are all about the outdoors. Your post bears a similarity to something I posted a few days back called Litti. Would love to try these rolls. They look fab! Looks like there’s a lot going on in these rolls! We love baos and empanadas and now this! Thanks, Tandy!!! Mmmmm – yes, perfect picnic food – Tandy. Those rolls look positively delicious! They really are the perfect picnic food. I just wish it was warm enough for a picnic in New York right now! I would make these in a heartbeat Tandy :). Not sure if they will last on the table but I am making these :). Let me know how they worked out! A friend’s mom once made Sri Lankan stuffed buns and I so thoroughly enjoyed them – these remind me of those – I was stumped as to how to make them – but not anymore – thanks Tandy! Btw – your talk about the beach makes me wanna move – its been so so cold here on the East coast of the US! Brilliant! Easy to pack and perfectly delicious. Might have to make some for my son on his next hiking adventure. It sure beats power bars! I love the term pregnant rolls!